Getting a massage regularly can be a great way to practice self-care. While sometimes seen as a luxury, massages offer plenty of health benefits that make them an important part of any wellness routine. Depending on your preferences and physical needs, you may find that a specific type of massage works the best for your body. Here is an overview of the different types of massages, what you can expect during each and how your health will benefit. Swedish massage is one of the most popular forms of massage and is practiced by most clinics and spas. Swedish massage is characterized by long strokes with the moderate pressure that direct blood flows back to the heart, with the goal of relaxing the entire body. In addition to the characteristic long strokes, Swedish massage may also employ kneading, circular strokes, and percussion tapping. Health benefits include increased oxygenation of the blood, improved flexibility, and detoxification of muscle tissue. 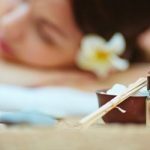 Deep tissue massages are often confused with Swedish massage but actually employ a different technique. Deep tissue massage is a therapeutic practice that targets knots in the muscle by applying increased pressure to muscles, particularly to muscle knots. Instead of directing blood flow towards the heart, deep tissue strokes work against the grain of the muscle to create muscle release. Deep tissue massages are recommended for individuals with chronic pain and can be particularly useful for individuals who experience regular muscle tension. Sports massage is a close cousin of deep tissue massage but is reserved for individuals who develop sore, tight muscles as the result of the repetitive action, or due to a sports injury. This type of massage focuses on the soft tissue of the body and can be used to both treat and prevent injuries by increasing flexibility, blood flow and range of motion. A sports massage therapist may employ a variety of strokes, combining techniques from both deep tissue and Swedish massage strokes. You do not need to be an athlete to benefit from a sports massage. Prenatal massage will vary in style between practitioners, but all will avoid positioning and strokes that could be harmful to the fetus or cause discomfort to the mother. The goal of prenatal massage is to increase overall relaxation and to alleviate any soreness, such as lower back pain, that may be exacerbated by the pregnancy. The benefits of prenatal massage include increased blood flow, the release of muscle tension and overall relaxation. Shiatsu massage is a form of Japanese bodywork with roots in Traditional Chinese Medicine (TCM). As such, it focuses on acupressure points in order to promote a healthier flow of energy throughout the body. Each acupressure point may have pressure applied to it from two to eight seconds at a time, followed the rhythmic application of strokes and pressure across the body. Shiatsu also increases blood flow throughout the body and assists with removal of toxins from soft tissues. It may also help to improve digestion, expedite healing, and ameliorate symptoms of conditions such as arthritis. In a hot stone massage, the masseuse uses smooth, heated stones, typically made of a type of volcanic rock to stimulate muscle tissue. 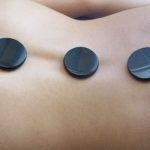 The stones may be applied to certain areas of the body and allowed to sit for certain periods of time, and your masseuse may also hold them in the palms of their hands and apply pressure in a circular movement. Hot stone massages typically combine the use of the hot stones with other massage techniques, such as Swedish massage strokes without the stones. The stones are meant to facilitate an especially relaxing experience and assist with increasing blood flow and circulation. Regardless of the type of massage that you choose, you are sure to have a relaxing experience that contributes to increased circulation, muscle release and improved detoxification of soft tissues. For best results, select a well-reviewed spa or clinic and disclose any conditions or injuries you may be dealing with when you book your appointment. This will ensure that you receive the best massage for your system. To optimize the health benefits, make massages a part of your wellness routine by scheduling them once per month or quarter. Your body will thank you! Kendall is truly dedicated to helping her clients find an inner peace they never thought possible. She has been a licensed masseuse and yoga teacher with The Float Spa for more than a decade and loves to help her clients release their daily stresses and find true mindfulness. When she isn’t teaching yoga or helping clients to relax, Kendall enjoys coffee dates with her partner and writing.